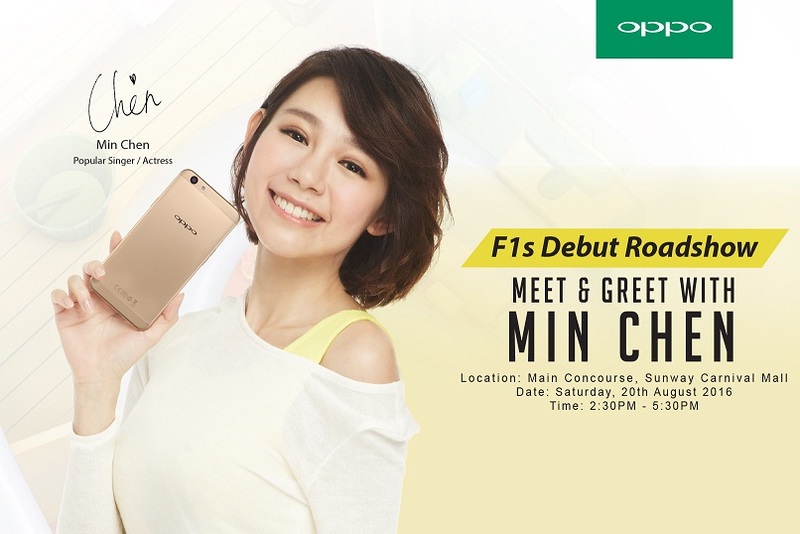 Kuala Lumpur, Aug 16th, 2016 –Sensational Malaysian artists AydaJebat and Min Chen are joining OPPO F1s’ first sale roadshows in Malaysia to celebrate the arrival of the newest Selfie Expert in town. The debut roadshow of F1s will be taking place in both Mid Valley Mega Mall, Kuala Lumpur and Sunway Carnival Mall in Penang. Min Chen, one of the new additions to the company’s celebrity team will be the meeting the fans at Sunway Carnival Mall in Penang to share some tips ontaking a great selfie that guarantee a steady appreciations by her fans. 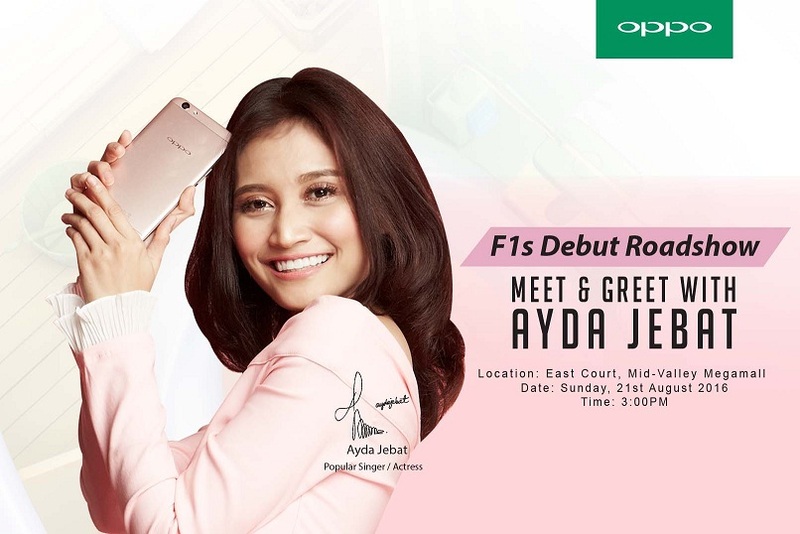 Ayda Jebat, on the other hand, will be joining OPPO F1s roadshow on 21st August 2016 at 3pm at Mid Valley Megamall in Kuala Lumpur to meet with the fans and perform her latest song titled “Pencuri Hati”. Selling at the price of RM1898, OPPO’s Selfie Expert F1s comes with 16 MP front facing camera and superb selfie camera functions such as Beautify 4.0, Palm Shutter, and Various Filters. The F1s also features fast lighting fingerprint reader, which can unlock the phone in 0.22s, and it is consider as one of the fastest fingerprint reader’s in the price segment. ← (SEMASA) Shatter Desktop Performance Cliché MSI is the world’s first to launch comprehensive notebook product lineups with GeForce® GTX 10 series graphics in the market!